Welcome to Zante, the best party island in the Mediterranean. Amazing beaches, beautiful weather and epic nights out are all but guaranteed on every Zante summer holiday. But if you’re looking for things to do in Zante during the daytime to really pack your holiday with great memories, we’ve put together a guide. Welcome to Zante, the best party island in the Mediterranean. Amazing beaches, beautiful weather and epic nights out are all but guaranteed on every Zante summer holiday. 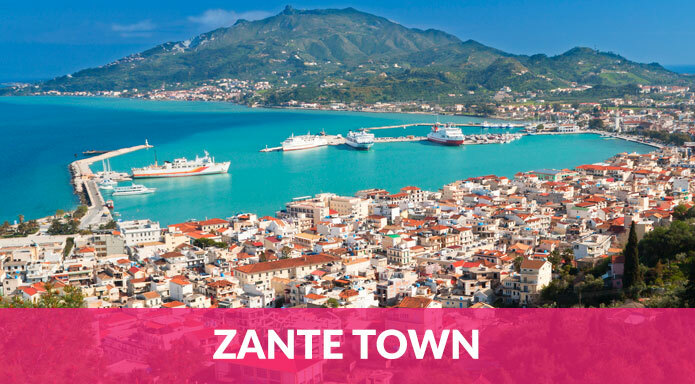 But if you’re looking for things to do in Zante during the daytime to really pack your holidaywith great memories, we’ve put together a guide. Sure, we’re starting with a beach bar – but why not? 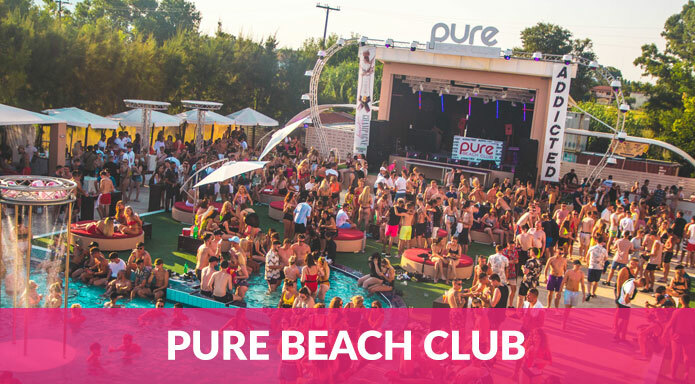 Pure is a great way to spend the day relaxing by the pool, meeting other holidaymakers and getting into the party spirit. On normal days, the VIP beds and cabanas are totally free – so you can live it up in luxury just by being the first one there. Leave your mates in the dust and enjoy petrol powered racing with 610m of track to enjoy. Hairpin bends and tight corners add even more challenge. For an exhilarating day out, not much can match this. 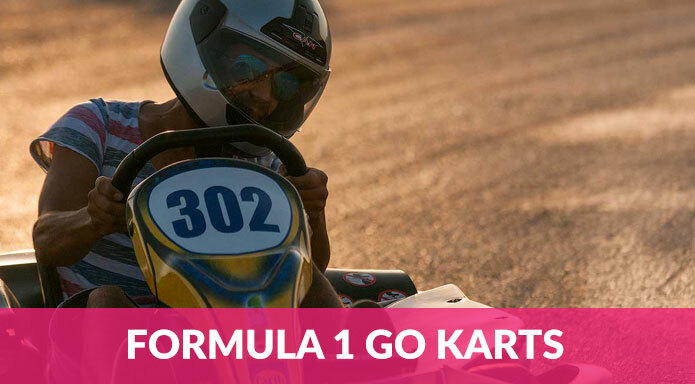 There’s a choice of 200cc and 300cc karts, which means there’s a level of thrill for everyone – even your most safety-conscious mates will be impressed. 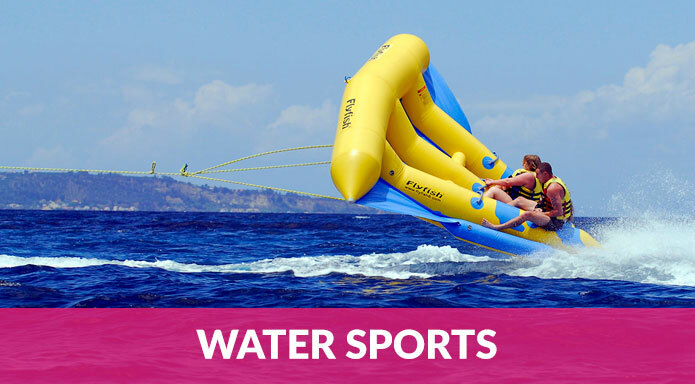 The crystal blue waters of Zante make watersports a fantastic way to spend the day. Visit a beach for the day and enjoy parasailing, banana boats, jet skis and more. St Nicholas beach and Banana Beach are popular spots for watersports, and some providers on the beach offer free pickup from Laganas. Want to explore in style? 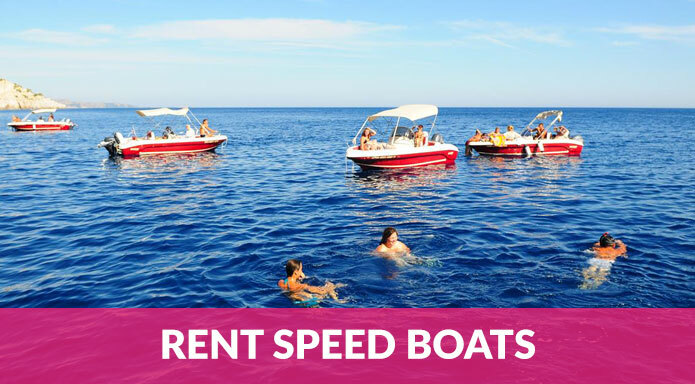 Club in your cash and rent a speed boat. Sail the blue seas in your own private boat. Prices are around €70 for 4 hours of sailing – or you can opt for private hire with a skipper, who’ll show you all the best sights. Zakynthos is famous for its turtles. 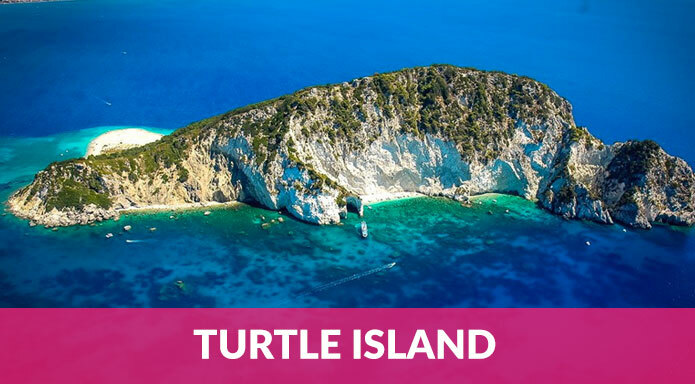 Turtle island, however, is famous because it looks like one and is also where turtles come to nest. You can visit the island as part of a boat trip, or sail near it yourself if you rent a boat. The beach is completely underdeveloped, so you can enjoy pristine waters and undisturbed sand. Don’t want to miss out on the gains during your holiday? 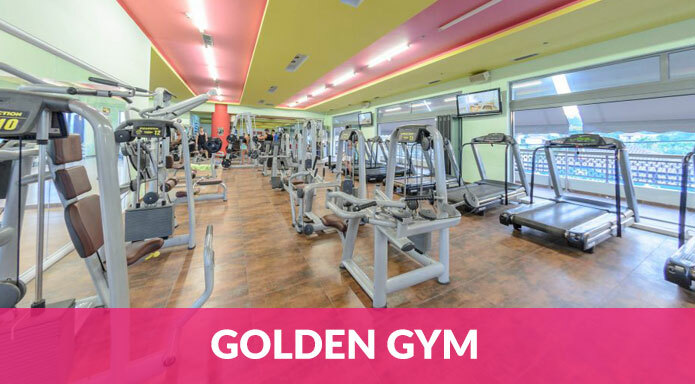 Golden Gym in Laganas is the best facility on the island, with a huge free weights area and plenty of machines. It’s the only gym for serious workout enthusiasts – with prices starting at €7 for a day session. Zante Water Village is one of the biggest water parks in Greece and a fantastic way to spend the day. With thrilling free-fall slides and the classic Kamikaze, this is the place to test your mate’s fear of heights. Tickets are €20 with a 10% discount if you book online. Our tip: make sure you apply plenty of suncream, as all the getting in and out of water makes it easy to get burned! 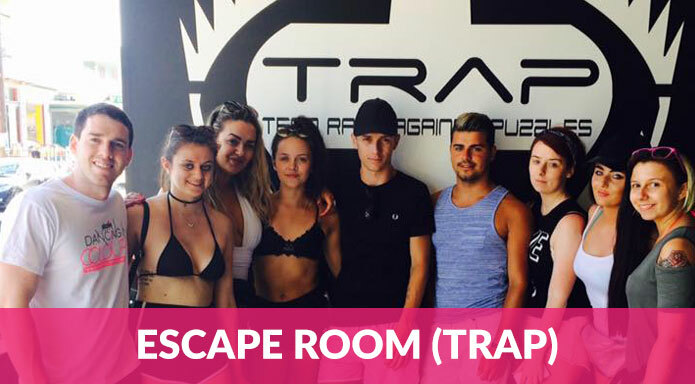 Something a bit different, TRAP is an escape room in Laganas where you’ll have to team up with your friends to try and figure out puzzles and escape. Visits last around an hour and cost just €10 per person. Travel to the heart of Zakynthos for a relaxing day out. Zante town is built in classic Venetian style, with a focus on culture and history. There are museums, a tourist train and tombs to explore. It’s a laid back way to spend the day, but perfect for groups looking to chill out after partying. 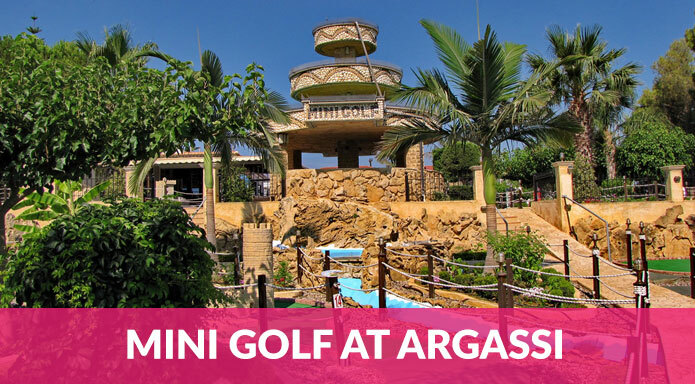 Prove you’re up to par at Mini Golf at Argassi. It’s a cheap way to spend the day and prove which of your mates is the best. Why not up the stakes and make the loser buy everyone a drink afterwards? With a wide choice of things to do in Zante, you’ll need to try and plan your week in advance so you don’t miss out. Make the event planning easy with our Zante Mega Deal, which combines the best events in Zante into one amazing week long deal. Learn more here.